Motorhome enthusiasts who switch to their electric bikes to explore coastal paths and cobbled streets on their travels are being invited to attend this year’s 3-day exhibition near Norwich from 21st July. 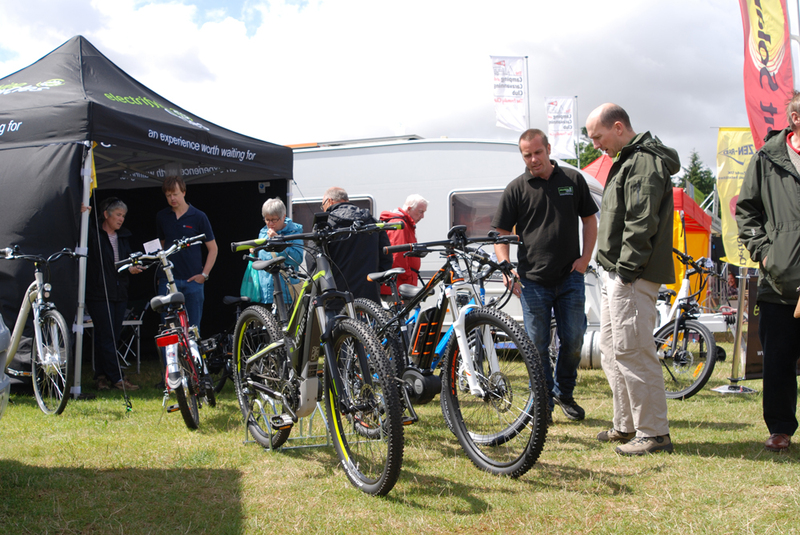 Exhibiting alongside the fifth wheel tourers and motorhomes will be a handful of electric bike retailers including the long-established Electrifying Cycles. The organizers expect over 4,000 visitors through the gates across the 3-day event, with day entry for adults costing £6.